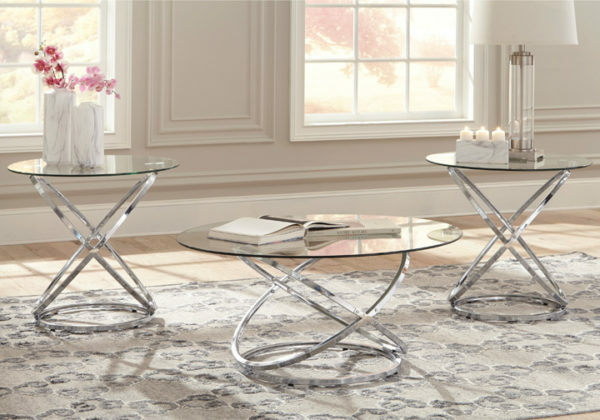 If you’ve been holding out for an ultra-contemporary look that’s delightfully unique, the Hollynyx round coffee table set is clearly worth waiting for. Chrome-tone metal rings are topped with clear glass with polished edges for a masterfully modern look with minimal fuss. *Occasional set consists of 1 cocktail table and 2 end tables. Hollynyx Chrome Occasional Series by Ashley. 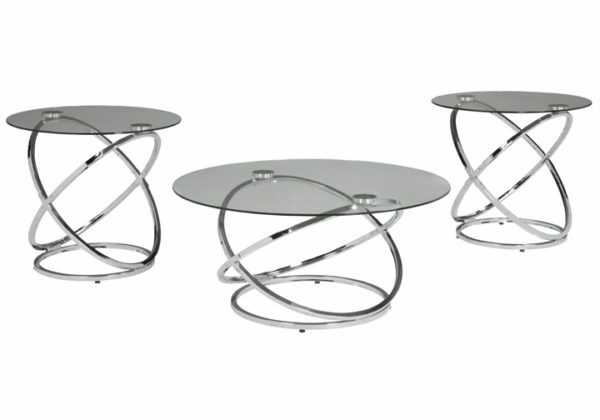 Made with tubular metal in a chrome color plated metal finish. Tables have joining rings forming elegant drum table that is topped with clear tempered glass with polished edges.